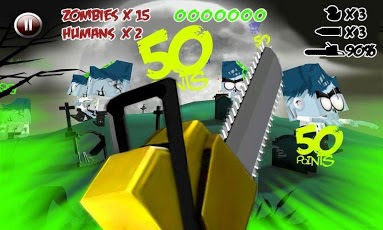 Paper Zombie is a fast action shooting game where your mission consists of facing challenging waves of zombies in relatively short but very exciting and intensive stages. Luckily you have three kinds of different weapons, each one with its own capabilities. You should combine them to succeed at this unevenly-matched fight. - Cutting weapons. Everyone knows that one of the best ways to destroy paper is cutting it, but you’ll need to be relatively close to the zombies. - Shooting weapons. 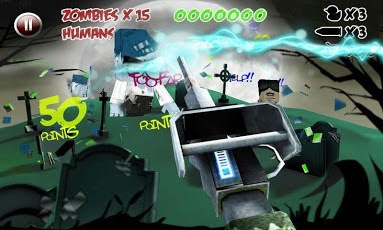 Shoot at the zombies to knock them down but remember that you may only have a limited amount of bullets. 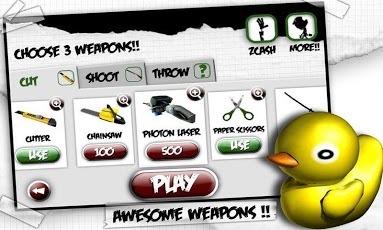 - Launching weapons. Paper burns easily. Launch firebombs to the areas plagued by zombies to finish them off but be careful that there aren’t any innocent ones in the area! 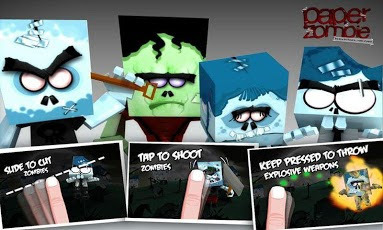 Paper Zombie isn’t just another game. It takes 3D capabilities of the handheld device to the limit, with user friendliness, an audiovisual display and depth to the game that has never been seen before on this platform and even more so on consoles. Install apk and play. . .